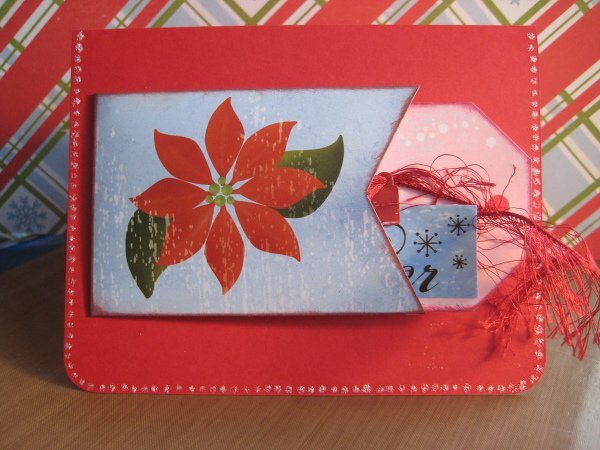 I used a simple red background for this card so the tag in the center would pop out more. The envelope is from an old Rusty Pickle Grinch-Mas Kit. I made the tag pull out with the fiber left over.